Rural high schoolers cross the state to meet peers in Dearborn. The goal? “Humanize each other." 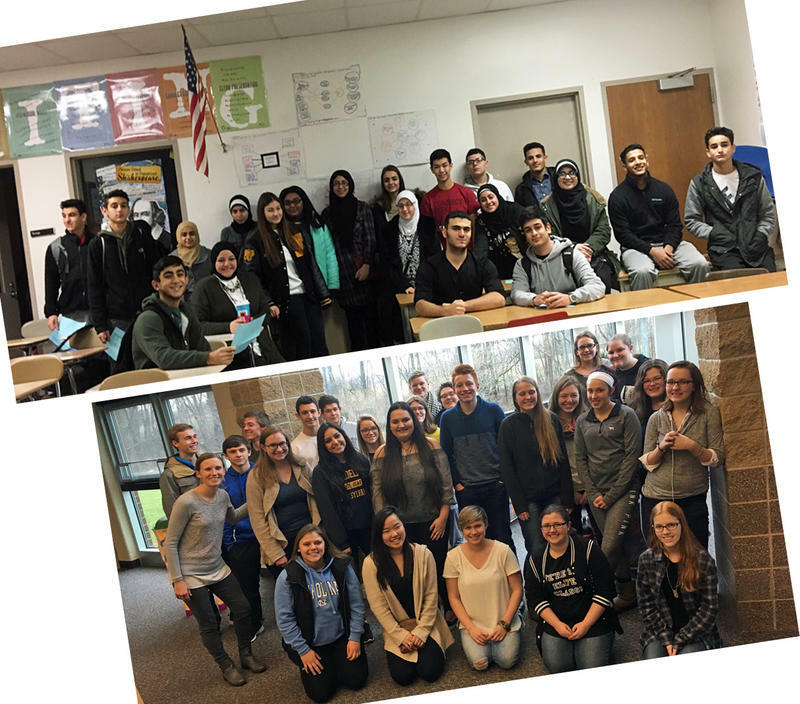 Stateside's conversation with Lauren Robinson, a teacher at Hamilton High School in Hamilton, and Zeinab Chami, a teacher at Fordson High School in Dearborn. As neighborhoods and thus schools become more segregated, there are teachers who have decided to confront that head-on. They're not waiting for a grand solution from our leaders to appear. They know it's easy to get along with people who look like you, and think like you, but they want to prepare their students for a world that is increasingly diverse.